Sandra Lee, Judith Light, Jenna Lyons, Audra McDonald, Janet Mock, Sheila Nevins, Rosie O’Donnell, Jean Richards, RuPaul, Liz Smith, Lesley Stahl, Gloria Steinem, Martha Stewart, Meryl Streep, Marlo Thomas, Lily Tomlin, and Gloria Vanderbilt. Sheila Nevins is the best friend you never knew you had. She is your discreet confidante you can tell any secret to, your sage mentor at work who helps you navigate the often uneven playing field, your wise sister who has “been there, done that,” your hysterical girlfriend whose stories about men will make you laugh until you cry. 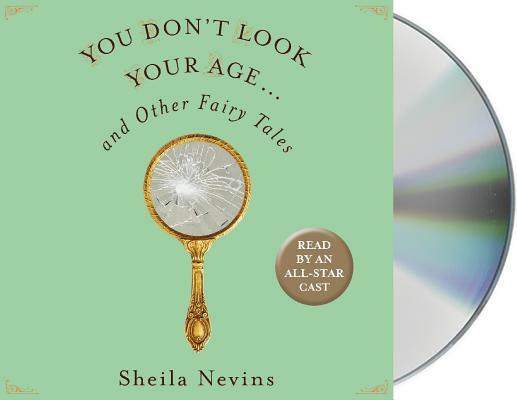 Sheila Nevins is the one person who always tells it like it is. In You Don’t Look Your Age, the famed documentary producer (as President of HBO Documentary Films for over 30 years, Nevins has rightfully been credited with creating the documentary rebirth) finally steps out from behind the camera and takes her place front and center. In this program you will hear about the real life challenges of being a woman in a man's world, what it means to be a working mother, what it’s like to be an older woman in a youth-obsessed culture, the sometimes changing, often sweet truth about marriages, what being a feminist really means, and that you are in good company if your adult children don’t return your phone calls. So come, sit down, make yourself comfortable, and slip on those headphones. You’re in for a treat. Sheila Nevins has a BA from Barnard and an MFA from the Yale School of Drama, and is a television producer and the President of HBO Documentary Films. She has produced over one thousand documentary films for HBO and is one of the most influential people in documentary filmmaking. She has worked on productions that have been recognized with 32 Primetime Emmy Awards, 34 News and Doc Emmy Awards, 42 Peabody Awards, and 26 Academy Awards. Nevins has won 32 individual Primetime Emmy Awards, more than any other person.